Michael is a renowned health informatics leader, best known for his position as CCIO for the UK’s National Programme for IT, and senior medical advisor to the Choose and Book and PACS programmes. His achievements include working with the end of life team at The Royal Marsden Foundation Trust to co-design the Coordinate My Care shared end of life care register, and the introduction of the ‘clinical five’ into the Department of Health’s 2008 health informatics review. 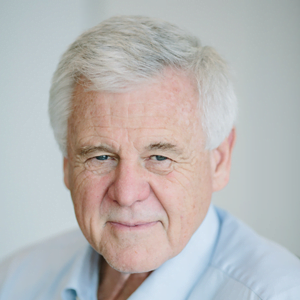 Michael’s achievements at a national level have been preceded by an established career within clinical practice. He was the director of liver and renal transplantation at the Freeman Hospital in Newcastle, and served as chairman of the IM&T Strategy Committee for the city’s hospitals. Michael leads IMS MAXIMS continued focus on clinical excellence and applies his valuable insight and experience into software design, product development and change programmes for healthcare providers.